You and your family rely on your toilet every day. However, it’s not something that anyone thinks about having to replace. 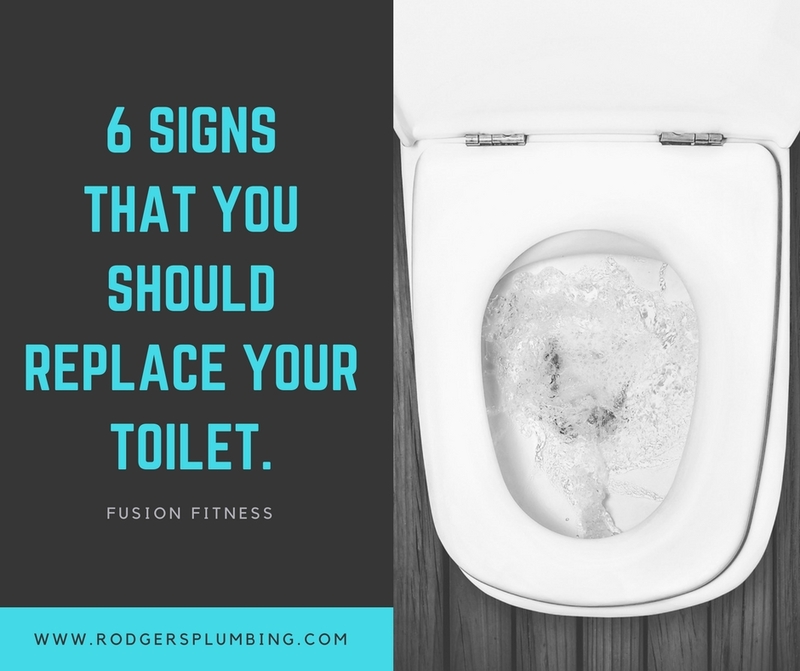 If you are experiencing any of the following signs, it may be time to replace your toilet! Clogging of toilets is not uncommon. 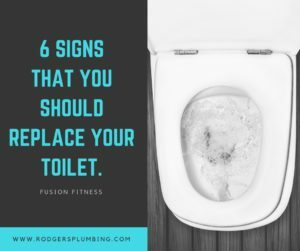 However, if your toilet clogs more than once a week or clogging seems random and odd, you should consider replacing your toilet. Any toilet is likely to have issues after years of use. Newer toilets are more efficient and less expensive to maintain. Toilets made after 1994 use significantly less water. If your toilet was made prior to 1994, it is probably time to upgrade to a new model. You may want to consider a low flush or dual flush toilet, which maximize savings in water use, utility costs, and environmental impact. If the surface of your toilet has excessive scratches it can be cosmetically unappealing and difficult to clean. If you have to clean your toilet often, it may be time for a replacement. It is not normal for a toilet to wobble or rock! If your toilet is unsteady, call Rodger’s Plumbing as soon as possible to determine the root of the problem. If you regularly call a plumber for toilet repairs, it is probably time to get a new one. Frequent repairs can be costly, so replacing your toilet will save you money in the long run! The professionals at Rodger’s Plumbing are experts in toilet repair, replacement, and installation. If you have any questions about your toilet or need a plumbing service, call Rodger’s Plumbing at 972-931-1021!